Experience an adrenaline rush like no other on a zip line or ropes course. 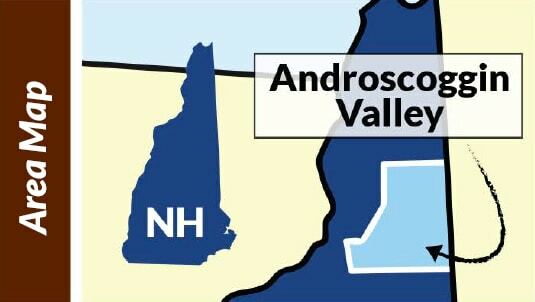 Androscoggin Valley offers tours to accommodate all ages and challenge levels. Hang out in the treetops on ELC Outdoors’ ropes course/zip line combo. Their aerial adventure course is a series of ropes, wires, and platforms suspended 12 to 40 feet off the ground. Catch a glimpse of Mt. Washington and the White Mountains as you navigate course and multi-line traverse to two zip lines. Enjoy a quiet flight through the trees on Bretton Wood’s Canopy Tour, which descends over 1000 feet of elevation. The 3-hour tour takes nature-lovers and thrill-seekers across a series of tree-top zip lines through a network of platforms high in the ancient hemlocks. Bring the family on an adventure they’ll never forget.